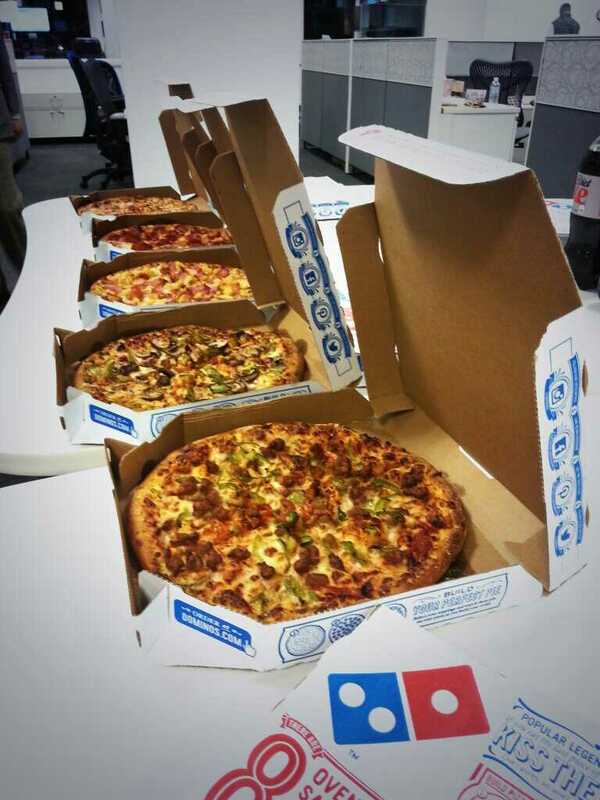 So last night was our pizza party. It was the first real event that we Gradeable girls put on together and we had an inordinate amount of fun coordinating logistics, reaching out to teachers, moving furniture, and everything in between. 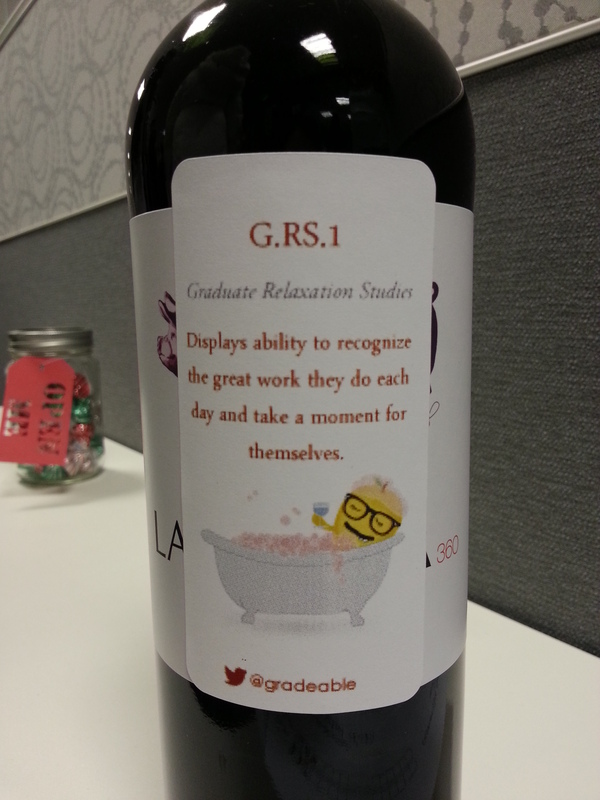 In addition, we met some great teachers to remind us why Gradeable exists in the first place. It’s the teachers making time on a Thursday night to come into Boston during finals season who make this ed-tech startup business worth while. 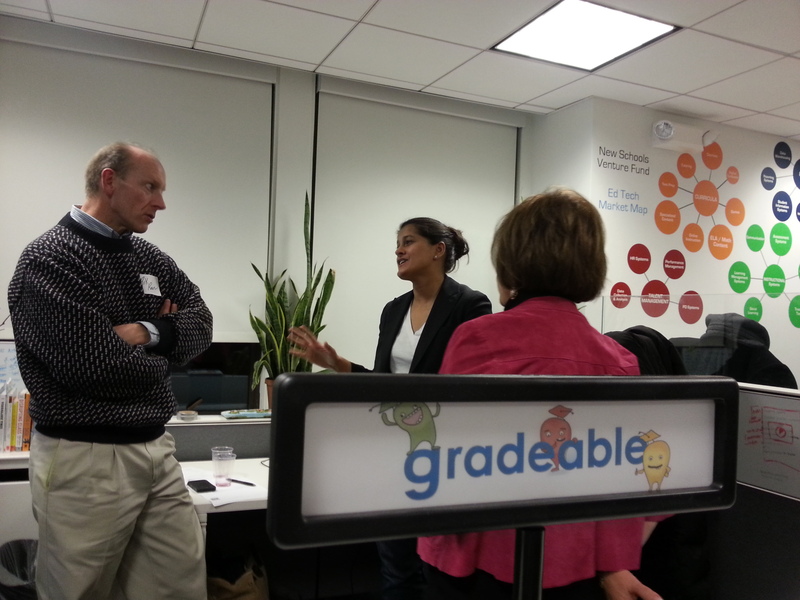 So thank you to the teachers, supporters, contributors, and providers of delicious food who made last night possible. 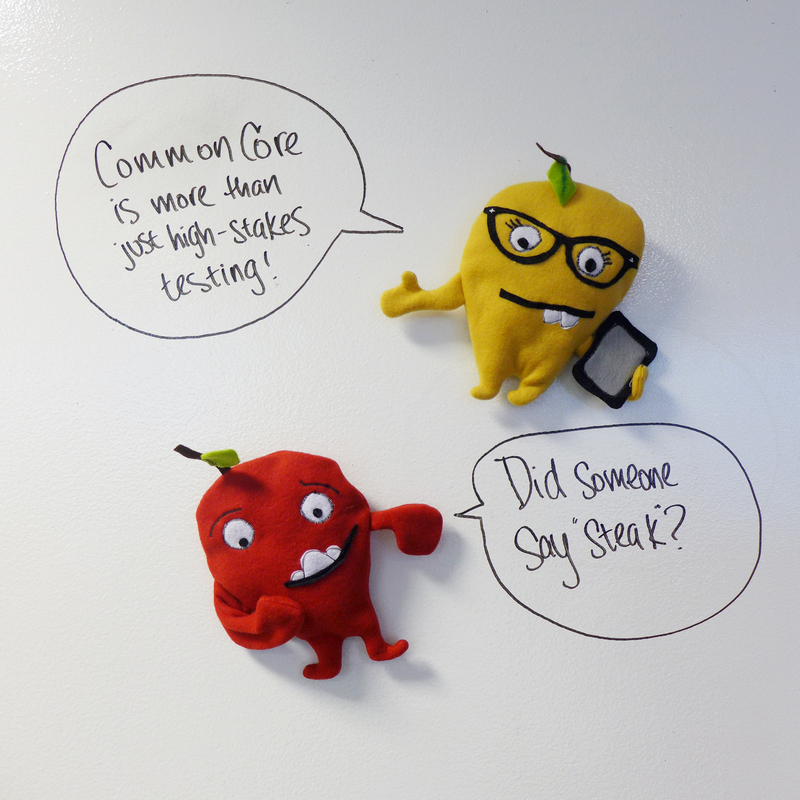 Red and Yellow Apple are ready to discuss the Core. Before I got to the party last night, I responded to a Tony Wagner article that said the problem with the Common Core was all the high-stakes testing. While I agreed that over-emphasis on high-stakes testing detracts from the educational process for students, teachers, and administrators alike, I did not agree with Wagner equating the Common Core with the high-profile testing. When I was about done writing, Sheri sent me an article written by Brett Peiser, the CEO of Uncommon Schools, who shared the story of his students who embraced this raised bar, discomfort, and challenge of the Common Core. The students were inspired by the story of Michael Jordan’s struggles at the beginning of his career and even wore Jordan’s jersey on test days. Kattie Lam doin’ her thang! Last night, Kattie, our Teacher Evangelist, absolutely knocked my socks off with her presentation skills. She spoke to a roomful people on ways that ed-tech is helping with the Common Core. While I was putting my socks back on, I realized that she introduced some pretty concrete tools for educators to conquer the Common Core. They are BetterLesson and LearnZillion. BetterLesson is a lot like a Personal Learning Network where teacher share their successful lesson plans, organized by standard. LearnZillion is a place to find thousands of lesson plans for the Common Core. Thanks, Kattie! Toward the end of the evening, I had the pleasure of talking to a high school math teacher who has dedicated himself to “lighting a fire” under students. Metaphorically, of course. He and I talked at length about the benefits, connectivity, and engagement that Twitter offers. @WHSRowe told me how students will Tweet him when they’re stuck on a problem and he’ll Tweet them back with hints or a video to get them through what they don’t understand. “How cool is that?” he kept saying. Personally, I’m a huge fan of Twitter. I love how accessible the world becomes with it. But to use social media to engage students in math? Can’t beat it. Alright everyone, now go have yourselves a great weekend!